But, she loved them. The girl who HATES romance novels. It took me awhile to figure this one out. Sometimes figuring out which genre you write in is difficult. My novels didn’t follow the formula for an average romance novel—which is why my sister liked them. Ever watch the HGTV design show called, “Secrets of a Stylist?” At the beginning of the show, Emily, the designer, performs a ‘style diagnostic.” She asks questions of her clients and has them choose their ‘favorites’ from different items. By doing this, she then determines what their style is. She comes up with very creative styles. Like, “beachy modern” or “classical contemporary chic.” And so on. Kinda cool, huh? As writers, we need to run a ‘style diagnostic’ on our books and determine our genre. At first, I assumed my books were Women’s Fiction. They weren’t. So what’s the difference? The distinction between genres is a bit subjective. It seems as though everyone has their own opinion. I quickly realized I wasn’t just plain old romance either. 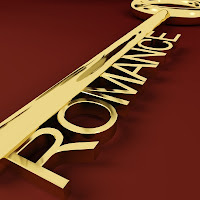 Romance was the common element in every single book but labeling my books ‘romance’ was too general. So, what the heck is my genre? Women’s Fiction: The female journey. What does it take to be a woman in this day and age? Romance can be included, but is not the central focus. Inspirational: Stories wherein characters rely on their faith to see them through their lives. Suspense: Similar to a thriller. Action, adventure, and mystery. Historical: Usually meaning it happened before 1945. There are two ways to be published. Category or Single Title. Category: Books that are published under a certain theme in many different sub-genres. ie: intrigue, historical, sweet, suspense, etc. Often made into a series. Think Harlequin. Single Title: Longer novels, not part of a series, released as a single title rather than under a category. My diagnostic: I realized that I was writing single title novels with Strong Romantic Elements. The romance was the significant part of the story, but the plot went far beyond the traditional romance boundaries. In the end, I call my books Mainstream Romantic Fiction, because they don’t necessarily follow the traditional ‘rules’ of romance. Did you know there were ‘rules of romance?’ Yep, there are. * POV should remain primarily in the heroine’s head, but you may go into the hero’s head on occasion. Yes, under the rules of romance, there must be a happy ending! If there is not a ‘happily ever after’ then it is a relationship novel, not a romance. Now, I don’t actually break these rules, but again, my plots tend to go beyond the romance and delve into other issues, therefore, they are not considered traditional. I was also writing in the many different sub-genres of romance. Kind of a crime in the publishing world. I think most publishers want you to stick to one sub-genre, so you can maintain a following. There are also varying levels of sensuality in romance, from sweet romance to erotica. And this is where I ran into trouble. I love romance, but I don’t want to write (or read) explicit details of intimate moments. I just fishtailed off the road. Rules? This explains why so many books sound like each other. Perhaps authors should learn to break these rules more often. This way books (and movies) would be less predictable and way more exciting.